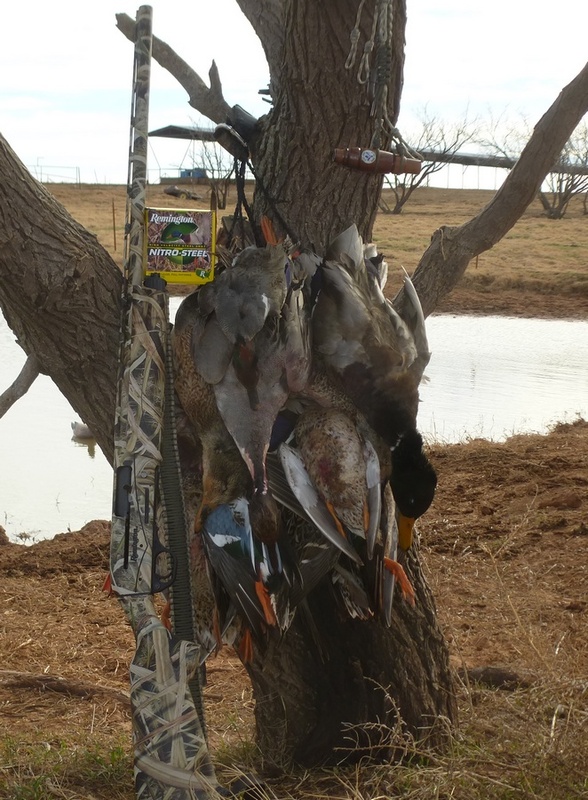 We didn't use HyperSonic loads for all of these ducks: some were taken with Remington Nitro Steel 1450 fps loads as well. The HyperSonics took a goodly portion, however. Remington's 1700 fps HyperSonic steel loads have been on the market for a few years. 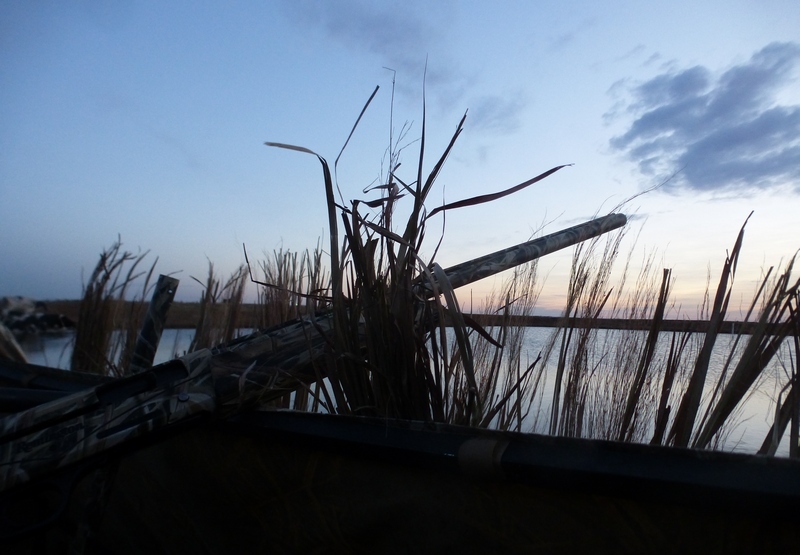 It is well-established that what many folks want is a more effective waterfowl load than generic steel loads. It has long been available in the form of various tungsten-based loads that qualify as non-toxic. It is also abundantly clear that most folks are just not willing to pay $4 a shotshell to whack a duck regardless of how good it is. For turkey hunters, that is a different matter, but enthusiastic waterfowl hunters can go through a lot of ammo. Several oddball themes have been used to try to market shotshells, like "wounding trauma." Tom Roster, for example, has autopsied many thousands of ducks and has made it quite clear that it is not the trauma of being hit by many pellets that kills a bird but the number of pellets that penetrate the brain, heart, lungs, or spine. Remington HyperSonic loads offer better penetration at all hunting ranges, about a fifth of an inch more in calibrated ballistic gelatin with #2 steel. That's real performance that does not rely on silly shapes to put pattern holes in your wallet. Steel shot itself doesn't have much going for it compared to lead as a shot material, but it does have one clear advantage: form factor. Steel shot is spherical and everything we have done with lead shotshells over the decades has been centered around trying to keep lead pellets round, whether improved wadding, buffering, shot plating, or increased antimony levels. Edward Lowry, the Dean of Shotshell Ballisticians, published his work in private journals, two hardbound mainstream books, and introduced the ground-breaking “Shotshell Ballistics for Windows” in 1996 with partner Keith Garner. Mr. Lowry spent many years with Olin-Winchester, and was heavily involved during the critical mandatory use of steel shot years, in conjunction with SAAMI, Winchester, and U.S. Fish and Wildlife. Ed Lowry has this to say about lead and steel. What Ed Lowry did not consider during his extensive testing is greatly increased velocity. Rather than the high wallet recoil 4 dollar a shell tungsten approach, Remington HyperSonic loads often sell in the area of 88 cents per shot area. There are two basic approaches to getting more out of a steel shotshell with velocity, either increased penetration or increased pattern density by having the ability to drop down a pellet size. Compared to a more conventional 1400 – 1450 fps #2 steel 1-1/4 oz. load of about 155 pellets, by using 1-1/4 oz. of 1700 fps Remington HyperSonic #3 your pellet count jumps to about 191 pellets that have a similar performance envelope: 23% more pellets, 23% more pattern. Let us say that you like 1-1/4 oz. BB's for geese at 1400 fps, giving you 89 pellets to work with for a 3 inch 12 gauge shell. By going with Remington HyperSonic 1-1/4 oz. load of #1 steel, your pellet count jumps to 127: a whopping 42% increase in pattern. That's hardly a trivial increase. 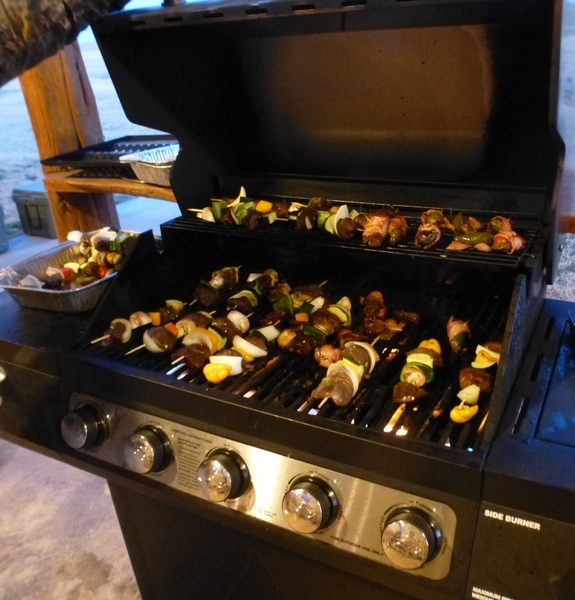 Many people, when they use steel, have more or less settled for #2 on everything except for geese, myself included. Yet, when hunting a mixed bag, a teal is a small bird compared to a mallard or a pintail. Pellet count matters and when calling in birds, an incoming bird is far more exposed than a going away bird. The more pellets, the better, as long as they have sufficient penetration. I'm not going to suggest that Remington HyperSonic Loads are all kittens and sunshine: they aren't. It is inescapable that as velocity goes up, so does recoil. As a result, you probably won't like these loads in a lightweight fixed-breech gun at all, nor will you like them in any harsh-shooting shotgun. However, if you are using a gas-operated shotgun, yes . . . an extremely soft shooter like the Remington V3 or the Versa Max, though you'll notice the difference, it isn't that big of a deal with your hunting gear on and due to the modest bag limits in many areas, you likely won't be piling up the hulls like you might be on opening day of dove season. Though the Remington HyperSonic Loads aren't for O/U shotguns or pumps, nor are they the greatest thing for cheap choke tubes, as long as you have a soft-shooting gas-operated autoloader with good quality choke tubes, you'll see a 23% pattern improvement using #3 steel vs. #2 steel and a 42% pattern improvement using #1 steel vs. BB steel pellets, with pellet lethality in essentially the same general performance range. In order for a goose to actually drop like a head-shot goose, it helps to actually hit him in the head and neck area. With 42% more pellets, it makes the job a whole lot easier. Anytime you drop a duck that needs a swatter shot, it tends to reveal how small the instantly lethal vital zone is. Despite the high percentage pattern efficiency of steel, the initially pellet counts are low, considering a classic lead 1-1/4 oz. duck load of #5 lead is 214 pellets. We can't form patterns out of pellets that aren't there is the first place; 191 pellets is clearly better than the 155 pellets of a standard 1-1/4 oz. #2 steel load. It isn't always possible to have the best of both worlds, but in this case we indeed can have good things from a couple of different places. By using the lighter 1-1/8 oz. load of 1700 fps Remington HyperSonic shotshells in #3 shot, we still have a better pellet count at about 172 pellets vs. the 155 pellets in a 1-1/4 oz. #2 steel load: an 11% pattern potential improvement. At the same time, this load does offer about a 17.2% reduction in recoil from its 1-1/4 oz. HyperSonic counterpart assuming a 7-1/4 lb. firearm. This is a very good compromise for those looking for a better pellet count than allowed by #2 steel shot yet without the full measure of recoil of the same 1700 fps 3 foot instrumental velocity applied to a 1-1/4 oz. payload. The #3 shot Remington Hypersonic load also has less drop and wind drift than a 1400 fps #2 steel shot load. This, as far as I'm concerned, is the greatest advantage of Remington's HyperSonic loads: the ability to confidently use a smaller pellet and have better-populated patterns to work with as a direct result. That Remington gets us there with an 88 cent shell vs. a $2.00 bismuth shell or a $4.00 tungsten blend shell makes it practical. Steel isn't going to get any rounder or denser. What is left is exactly what Remington has done for the performance-minded hunter at a quite reasonable price.